Discussions are currently underway on a pilot project involving Alberta–Northwest Territories Command and its Service Bureau in Edmonton. The aim of the initiative is to co-locate a command service officer with the recently created Integrated Personnel Support Centre (IPSC) at the military Garrison in Edmonton. The support centres were created to make available a number of centralized resources, including Veterans Affairs Canada, social workers, stress injury support staff and other key players, to military casualties and their families. The proposal to incorporate a service officer was initially broached by the commanding officer of the Joint Personnel Support Unit, Lieutenant-Colonel Joe Pollard. The JPSU is the Headquarter element for the IPSCs at Edmonton, Wainwright, Cold Lake and Calgary. Ongoing correspondence between the JPSU and Alberta-N.W.T. Command identified areas where our Service Bureau could likely have positive influence. Among the most promising was the provision of assistance in prosecuting disability claims through VAC. Given the ongoing deployment of troops to Afghanistan and the substantial levels of training taking place at Camp Wainwright, this service was recognized as an area for significant potential. It had been past practice for the Service Bureau to work indirectly with staff from the Casualty Support Administration cell, located at the garrison as well as with military medical providers from both 4 Wing in Cold Lake and at CFB Wainwright. Cases were sporadically brought to the attention of Edmonton service officers where disability claims might be generated for those soldiers injured while undergoing pre-deployment training or while in theatre and now returned to this region. Those soldiers undergoing medical release, whose injuries were not necessarily related to a deployment injury, were also referred to the Service Bureau by clinical staff. The advantage of having an onsite representative should allow for faster communication between all parties involved. An added benefit to any partnership with the JPSU will be our access to military staff of the IPSCs at both 4 Wing and CFB Wainwright. This association should prove most beneficial to all involved as we traditionally visit these locations on a quarterly basis. Poppy Fund intervention was also an item that was discussed. It was recognized that not all releasing military personnel confine themselves to larger urban centres. Command service officers have the necessary contacts—through local branches—to determine if assistance in outlying areas is available and capable of addressing any specific need for soldiers or their families. Our ability to investigate cases and determine a best course of action could potentially help these individuals to bridge resource programs and temporarily alleviate any number of stressors. Branches across the province will be engaged in this process. Additionally, this undertaking and the potential relationship could provide us with other supporting roles. 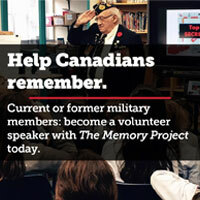 It will give our organization a profile on those soldiers injured in Afghanistan and returning to Canada. It’s been common practice to augment the positions of each deploying Task Force with Regular and Reserve Force soldiers from across Canada. Service Bureau identification of these individuals and our connection to colleagues throughout the country, can only serve to help with any transition and reintegration process. Whether the soldier and his family happen to be returning to Manitoba, Ontario or Nova Scotia, our network of support remains in place and available. The relationship will provide the Service Bureau and the Legion with visibility on the internal workings of the Depart with Dignity Program—a program administered by the JPSU, which offers a complimentary one-year Legion membership to releasing personnel. A primary mandate for the Service Bureau has always been to assist. We believe that the exposure gained by this endeavour will only serve to enhance our image. The trial program will see the Edmonton Service Bureau provide support to this location on a once weekly basis. Adjustments to this schedule will be considered should numbers and the scope of activity dictate otherwise.